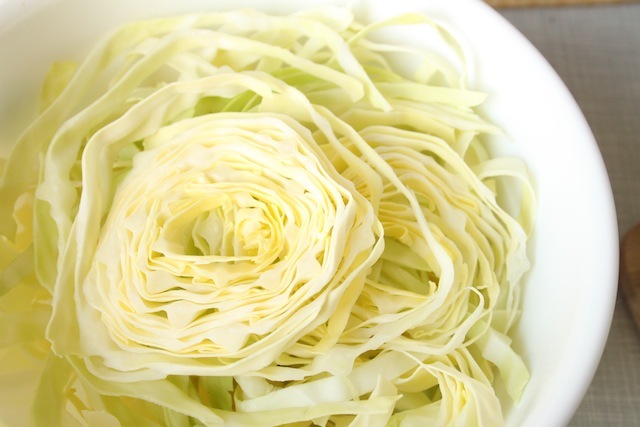 Slaw That – Eat Me. Drink Me. Though to make a springtime lunch, that’s all you need. 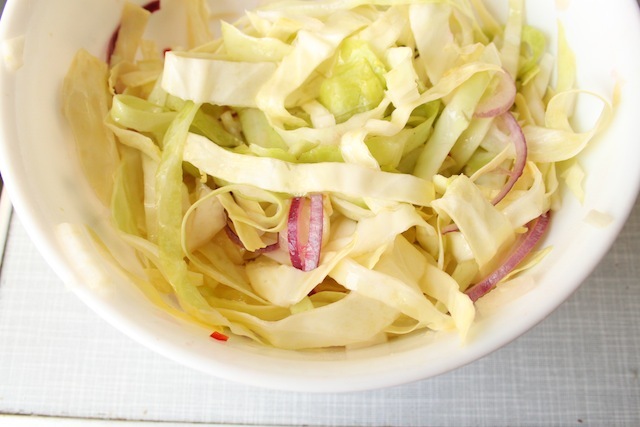 Dijon mustard and farmer’s cheese spread thickly on freshly toasted bread, topped with a simple slaw of cabbage, red onions, and chiles – the dressing no more than rice wine vinegar, grainy mustard, lemon juice, sriracha, mirin, honey, salt, black pepper, and garlic. 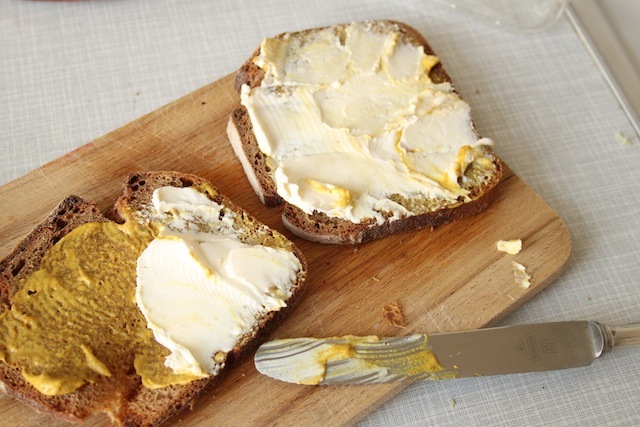 I eat my open-faced sandwich, I’ll make a cup of coffee and sit in the kitchen letting the sunlight in through the windows, pretending its warmer than it really is. Read a magazine. Let the lightness carry me away. 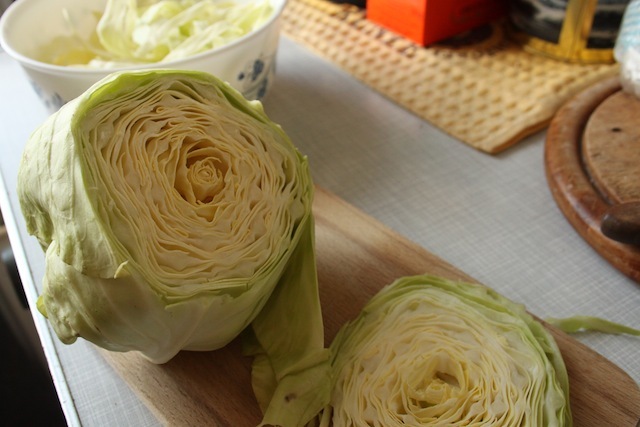 Oh cabbage, oh cabbage. So the real question is, when are you going to come to Germany to cook that for me? 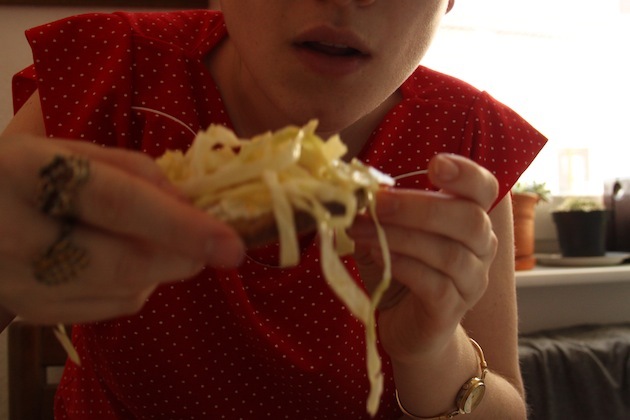 Wasn’t your baby brother called spitzkraut by Hansvetter? If so, do you feel a little cannabalistic? Does this meal on a clean the fridge satisfy the big brother, who I think of as an empty pit. 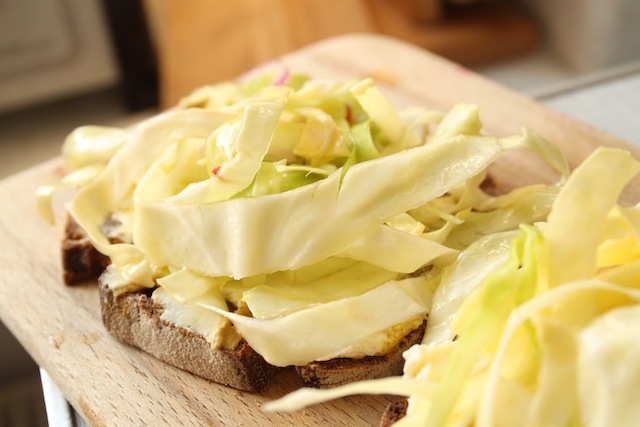 At any rate, we are quite fond of cabbage and that open faced sandwich looks good to me! I’ll probably have to put a couple of slices of ham on top to keep Grandpa from loosing weight. Poor thing. The brother I’m feeding likes to complain a lot, but I think he’s being pretty well fed. 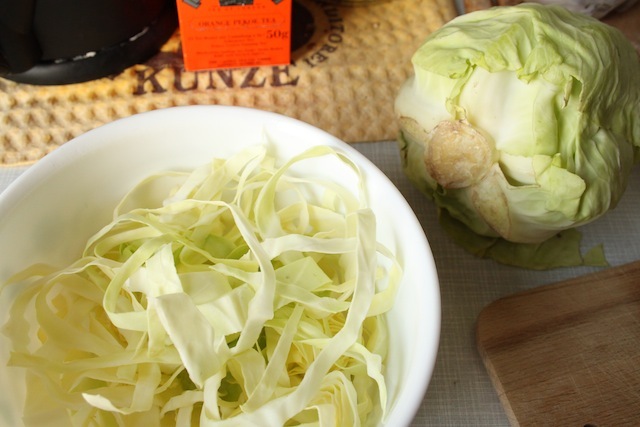 …do something with you the love, if you cook ?